Home > Archive by Category "Liability"
Self-driving cars have been one of the most covered pieces of tech in the past few months. It’s only rightly so because self-driving cars are potentially disruptive technology that could alter the role of cars in society. But the world we move around in is governed by laws. These laws are in place in order to determine the extent by which a constituent is allowed to exercise his or her rights. As a general rule, you are allowed to exercise your rights as long as you are not depriving anyone else of any rights, or more importantly, as long as you’re not causing harm to a fellow constituent. 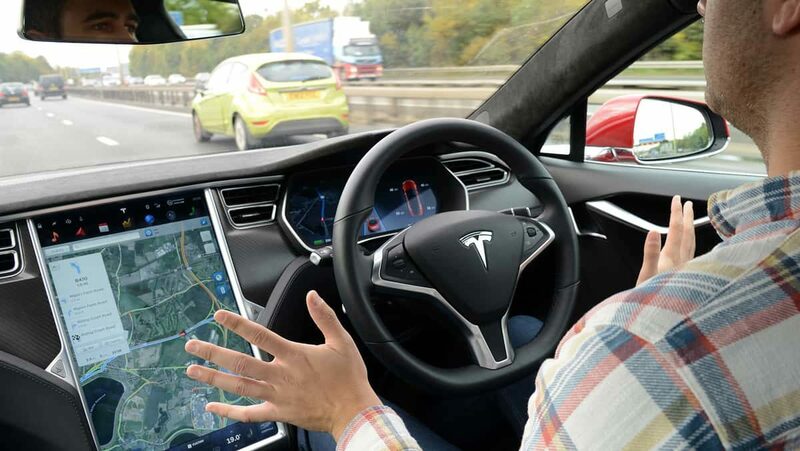 Now, what exactly are autonomous cars? In essence, they are cars that are capable of self-governance, wherein they are able to perform their functions without any human input. This is made possible through the use of a wide array of sensors, artificial intelligence, and radars. All these pieces of technology synergize in order to allow the vehicle to not only navigate through an area, but to also react to unforeseen situations, like a pedestrian running across the street or a car that’s driving off-course. But a certain tune rings true for all pieces of technology, and that tune is that machines are susceptible to failure. And with a task that holds a lot of responsibility such as driving, such a failure could mean loss of life. In such an event, who shall be held accountable? This scenario isn’t far from possible. In fact, it’s already happened. The first fatal incident that involved an autonomous car happened on March 18, 2018 when a pedestrian was killed in in Tempe, Arizona when she was struck by an experimental self-driving car. Video evidence showed that the car made no attempt to avoid the pedestrian. A lot of sources would claim this to be an accident, but that does not sit well with me. To say that this was an accident is to say that no one is at fault, when clearly, someone needs to be held accountable for the death of a pedestrian. Unfortunately, in this situation there aren’t any precedents upon which a legal argument could be based on. And the fact that there were no laws governing the use of autonomous cars during the incident doesn’t help either. In such an event, a mere Internet search isn’t going to help you out much, which is why it’s still far better to consult with people whose careers revolve around these types of cases, such as car accident lawyers. But, don’t worry, you’re not leaving here empty-handed. Depending on the state you live in, the government has elected to impose some rules regarding the testing of autonomous vehicles. Some states require that a safety driver be present inside the experimental car during testing, while other states require that the experimental car should be monitored closely so that a remote operator can engage emergency brakes when deemed necessary. What is Strict Liability in California? 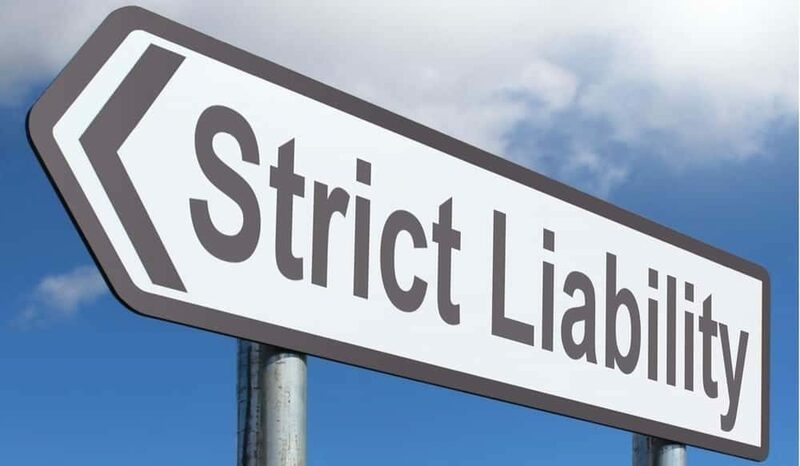 Strict liability is an important legal term that you should be aware of as it can apply to anyone in California who is either injured by another person’s negligence, or could have drastic implications for people who are found responsible for injuries to another. In this article, you will find out what exactly is meant by strict liability in the context of California laws. Also, you will find out how this doctrine affects a personal injury case in the state. What is meant by Strict Liability in California? State laws in the U.S. differ as to when an individual or company at fault is liable for personal injuries. Some laws state that liability arises only if it proved that the defendant acted unreasonably or negligently. On the other hand, there are some states that require the entity liable for an injury to compensate the victim regardless of the fault, which is also known as strict liability. In California, the strict liability clause applies whereby the guilty person is liable regardless of the fact that reasonable precautions were taken to prevent the attack. If a person gets injured by tripping in a store, he or she does not have to prove fault to get compensation. California strict liability laws make the store owner liable for any injuries that occur within the premises. The store owner must compensate the victim for the injury without the need of proving guilt. In addition, if an individual is bitten by a dog, the victim does not have to show fault of the dog owner to claim compensation. The dog owner can’t deny that liability on the grounds that the victim provoked the attack, the dog had not acted aggressively in the past, or that necessary precautions were taken to avoid an attack. Since the state has strict liability laws, proving the fault of the dog owner is not required. Another example when the strict liability clause applies is in the case of defective products. If a manufacturer distributes defective products, the injured persons can claim compensation. There is no need to prove whether the manufacturer had willfully disregarded the safety of the customers. The fact that the product defect resulted in an injury makes the manufacturer liable for the injuries. Despite the strict liability clause, hiring a personal injury attorney is still important. The reason is that you still have to prove that the defendant was responsible for the injury. In other words, the court must be convinced that the injury occurred due to the defective product or the debilitating physical and emotional pain was caused due to a dog bite or tripping in the store or getting hurt on a trampoline. A professional attorney will marshal the evidence to prove the fault without a reasonable doubt. In addition, the attorney will make sure that you receive the maximum possible compensation for your injuries. Construction can be a dangerous and aggressive business. Contractors and builders are often in high-risk situations and must have construction liability insurance. Whether a visitor is hurt on-site or a worker is hurt or held liable for mishap or damage, you need to be protected. This type of liability insurance offers coverage for injury, accidents, and workplace mistakes. As a busy professional, you have more pressing concerns than worrying about what-ifs. So when the unexpected happens, this construction liability insurance coverage helps to make sure your construction or contracting business is protected. Although you hope it never happens, a third party could allege that your business is responsible for property damage or even bodily harm. Without the appropriate liability insurance coverage, you could be held responsible for those damages. You don’t want to be left in this situation. This could do considerable damage to your business and your income. Instead, you want to be prepared. Although you do your best to follow safety regulations at all times, things will inevitably go wrong. Accidents happen even to the most responsible business owners. Whether the injury occurs to a client or loyal employee, if the injury is serious, you could be put in a financial bind. Having construction liability insurance lets you deal with these situations and expenses while protecting your business from financial ruin. When accidents happen, a claim can be brought against your business or against individual employees. Having good liability coverage can protect your workers when the unexpected happens. This can offer you and your employees peace of mind knowing that if mistakes are made or an accident occurs, it will be covered. Any labor-intensive business deals with risks on a daily basis. You may do everything by-the-book, but an accident can still occur. This risk compounds when visitors or untrained workers are on site. With construction liability insurance, your business is protected. In addition, this coverage can protect you from legal costs if your business is accused of damaging someone’s property. A good liability policy will help pay claims in regard to completed services or products your business has produced. For instance, if your business had installed cabinetry or shelving that causes the homeowner injury, you could be held liable. That’s not a situation any business owner would want. With appropriate liability coverage, legal bills and damages could be covered depending on your policy limits. Faulty workmanship coverage is often covered, but this depends on your particular construction liability coverage. This is often called Contractors Errors and Omissions Coverage. Depending on the business you run, you might need this type of coverage. It protects you from claims of negligent work. If you go over budget or fail to complete a project in the agreed upon time, you could be held responsible for those additional costs. If you feel you need this type of coverage, it’s important to talk to your insurance agent. All successful businesses must advertise, but the claims you state in your ads are important to live up to. But everything doesn’t always go as planned, as you know. Having a liability policy covering slander, libel, copyright issues, and privacy is a smart idea if you don’t have professionals handling the job. Advertising mistakes can be easily made when you are busy, advertise via social media, or haven’t done your research on compliance research. If a patron is injured on your business property, you need immediate medical expense coverage as part of your construction liability insurance. No matter how strictly you follow safety guidelines, an accident can occur at any moment. You want to address any injury right away. It’s much better to have insurance protection that provides immediate coverage for medical expenses than to deal with a potential lawsuit down the road. It’s possible that clients you work with may require you to have this coverage before working with you. This offers them peace of mind knowing if your business is negligent in some way or causes physical harm, they are protected financially. If you offer extensive in-house services, you may need additional Faulty Workmanship coverage. This helps protect you in case of a lawsuit due to mistakes in design work. This liability coverage also protects your clients from monetary loss if your workmanship is sub-par. If you’re hired as a contractor to be part of a large project, you might be expected to have your own liability coverage. This may vary from one project to the next. Whatever questions you may have, you can get advice from a reputable agency like Poms & Associates construction liability insurance. They will help you to get the best coverage possible for your particular business. The costs of construction liability insurance can vary depending on the perceived risks associated with your business. Contractors for highly specialized trades and commercial contractors are considered to be at high risk for damages. The need for liability insurance is measured against the money executed by the contractor. As a general rule, it’s recommended to have coverage at least two to three times your construction costs. This type of insurance does have limitations. Limits are set per occurrence and according to aggregated values. There are limits for fire damage and for medical expense coverage not covered by workman’s compensation as well. Although there are limitations on what liability insurance will cover, the alternative is no coverage at all. That’s too big of a risk to take with your business and livelihood. In business as in life, the unexpected will inevitably happen. You don’t want to be left wondering what to do when an unfortunate incident occurs. No matter what level of construction your business is in, having adequate insurance coverage is a must. Being prepared is always your best best. For more helpful information, check out our blog.